Last Thursday, just as temperatures here plunged into the single digits, I boarded a flight to warm and sunny Orlando, Florida. There, for three days, and in the company of Silver Fox and his three young grandchildren, I soaked up the sights at Magic Kingdom and Epcot Center. We stayed at The Port Orleans Riverside. It’s just one of several resorts in Orlando that are owned by Disney. Our rooms were nice enough, and the grounds were meticulously cared for. 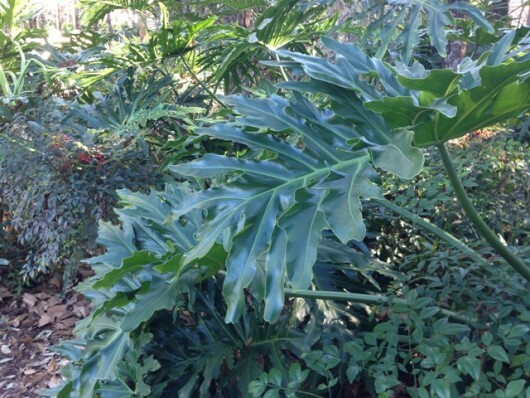 I was amazed to find Philodendron monstera growing along the resort’s pathways. 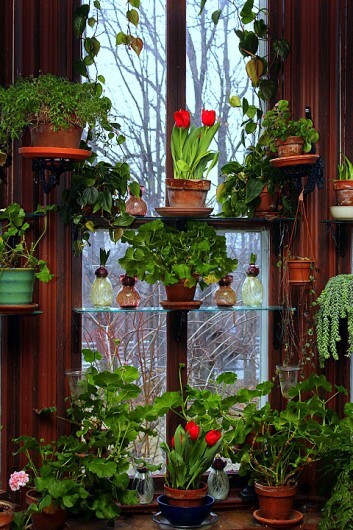 Where I live (New York’s bitterly-cold Hudson Valley), the plant can only be grown indoors in a great big pot. Did you know that scrambled eggs could be had in dehydrated, “just-add-water” form? Yuck! The same eggs were served at a swanky, reservations-only restaurant within The Magic Kingdom. I couldn’t wait to make the real McCoy when I returned to my own kitchen (and sub-zero temperatures) on Sunday afternoon. This dashing breakfast or dinner dish was inspired by a similar one I ordered last summer, while visiting Manchester, Vermont. It contains some of the best stuff on earth: softly-scrambled eggs, crisp bacon, French brie, and fresh, fragrant rosemary. It’s a treat for both the nose and the taste buds. It’s an easy dish, too. You can prepare it on a whim. 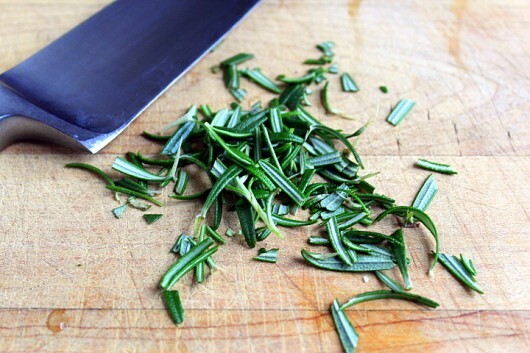 And snip a few sprigs of rosemary. Or, just obtain the fresh herb from your local farmers’ market or quality grocery store. Coarsely chop the perfumed needles, and set them aside. Next, grab a skillet, and fry some bacon to crisp perfection. Drain the bacon on paper towels. And add some salt and pepper. Not pictured: Beat the eggs to Magic Kingdom-Come. With the grace of Tinker Bell, tip the beaten eggs into the moderately-hot skillet, and slowly whisk them as they cook in the bacon fat — about 30 seconds. Keep in mind that overcooked eggs are as bad as the powdered version at Walt Disney World. And speaking of Disney World — the grandchildren had a walloping good time! 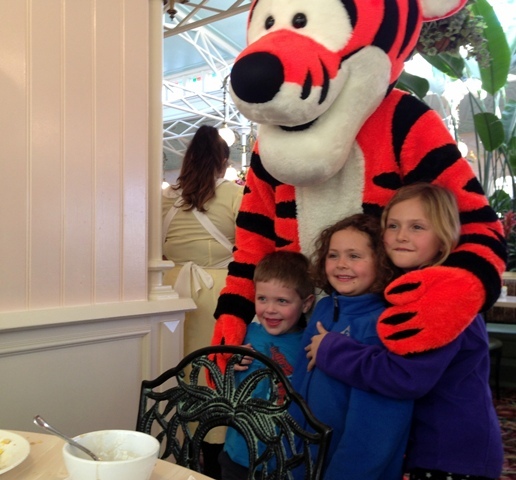 Pictured left to right in the arms of Tigger are Cole (4), Piper (6), and Emerson (8). Quickly wipe out the skillet. Then add some good olive oil, and fry up a thick slice of sourdough boule. Wanna make your own, crusty sourdough boule? Here’s the step-by-step recipe. 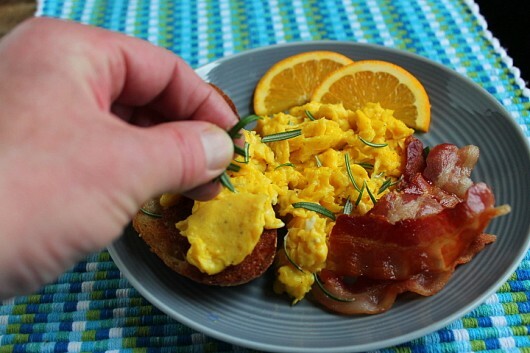 Put the bacon, bread, and eggs on a plate, and sprinkle the eggs with some of the chopped rosemary. Then add a few strips of French brie, and garnish with more rosemary. Delicious! In the comments field below, let me know if this recipe appeals to you. Or, just mention whether or not you’ve visited Walt Disney World in Orlando. Did you have as much fun as we did during our (too brief) visit? Crisp bacon, softly-scrambled eggs, French brie, and fresh, fragrant rosemary -- this breakfast or supper dish is a treat for both the nose and the taste buds. 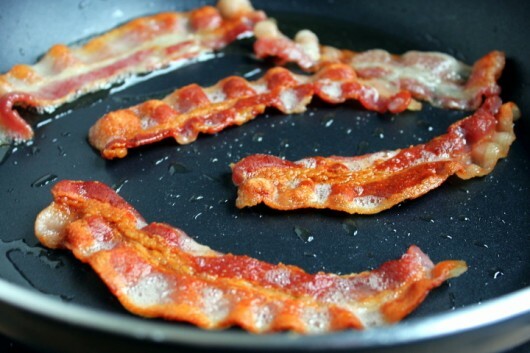 In a skillet set over medium-low heat, fry the bacon until crisp. Drain on paper towels. 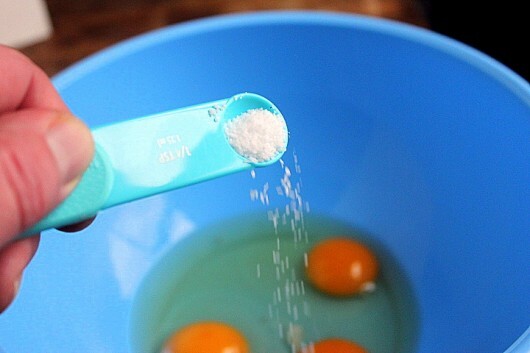 While the bacon is cooking, break the eggs into a bowl, add a pinch each of salt and pepper, and whisk to combine. 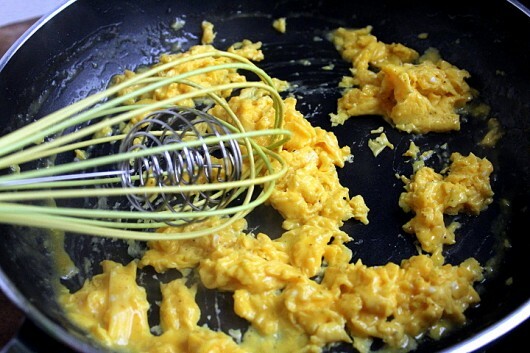 Tip the beaten egg mixture into the hot skillet, and while slowly stirring with a heat-proof whisk, scramble the eggs just until done -- about 30 seconds. Do not overcook the eggs! Quickly wipe out the skillet, add a glug of good olive oil, and set the pan over medium heat. 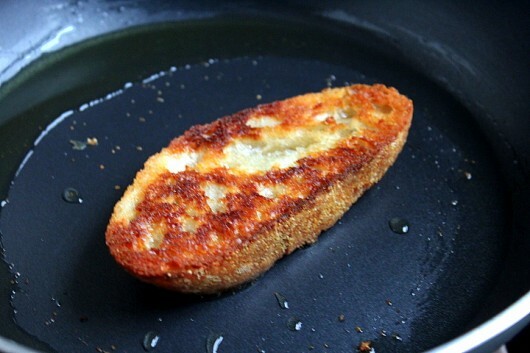 Add the slice of sourdough boule, and let it fry until crisp and golden -- about 1 minute per side. Put the bacon, eggs,and bread on a plate, and sprinkle the eggs with a big pinch of the chopped rosemary. Place the sliced brie over the eggs, and garnish with an additional pinch of rosemary. Enjoy with coffee for breakfast, or with champagne or prosecco for dinner. Went to Disney World on our honeymoon in 1972… it was just opening but I still remember that it was magical! Eggs look magical, too. What a wonderfully fresh twist on the classic “bacon & eggs”!!!! Silky scrambled eggs get a huge flavor boost from creamy brie and fragrant fresh rosemary- paired with crisp sourdough bread “toasted” in olive oil…with a side of crispy bacon….whats not to love???? A perfect lunch on this blustery wet day. Thanks for sharing Kevin!!! Wonderful ! I think I would soften the Brie in the skillet, shortly at the end, or even replace it with goat cheese. I stay away from Disney and their fake eggs and fake food… I have a sister who goes there often, but it’s really not my cup of tea. It’s great for children though… but it’s really not my idea of a good time. Ps- I have been to the happiest place on earth- twice!! My son actually worked at the brown derby restaurant in what is now the Hollywood park…..no powdered eggs there!!! We really enjoyed our visit with him as our “inside guide”!!! Pixie Dust!!! With apologies to Mr. Shakespeare, yuck by any other name would taste as … YUCK!!! Have bacon, have eggs, have rosemary, have oranges, no Brie on hand at the moment, but cubed cream cheese folded into the beaten eggs before “tipping” into the skillet makes a heavenly concoction. Sounds like a plan for tomorrow. Welcome back! In the Finger Lakes today with our “first snow” eggs, bacon and sweet California Strawberries were the flavor of the day! The Berries were very sweet and flavorful…not always the case this time of year …. Powered eggs reminds me of summer camp. Eggs look appetizing, most of all I’m loving that table runner. Going off subject, but can I use just all purpose-flour to make a sour dough starter or do I need to use part whole wheat? Hi Tressa – Sourdough starter: yes, you can make it with just all-purpose flour. Have fun with your project! I visited Disney World three times in the 1970’s with teenaged cousins who lived in FL. People waiting in serpentine lines for rides were FAINTING from the excessive heat of July because there were no canopies overhead. We were alternately drenched and fried with thunderstorms racing past then a vicious sun reappearing. But it was loads of fun. Food was overpriced but I was not holding the wallet then. Your recipe looks wonderful, almost as enchanting as the Tigger photo. I also thank you for the tropical foliage photo, so lovely. I live in this sunny, wonderful state and can go see Mickey most anytime. Glad that you visited and welcome you back anytime. Come see me in The Villages!!! My , but the Fox has beautiful grandchildren!!! The breakfast is ALMOST as beautiful – going to try it tomorrow! 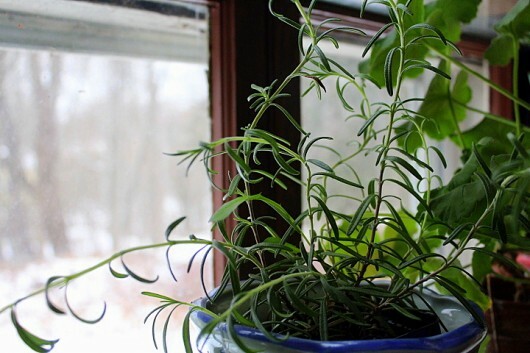 Rosemary variety ‘Arp” is winter-hardy in Zone 6, where I live. It grows to more than 3’ tall, requires little care. It’s a delight to have at my fingertips whenever I need it! Your REAL eggs look inviting and inspire me to make a quick run to the local grocery store for some Brie. We’ll have to make do with my gluten free bread but that is Ok. We have a local “good foods ” place in Atlanta called R Thomas and Son. They use rosemary in their eggs and i love it. . Sorry you had to go back to cold weather for real eggs .Pixie dust eggs turns me off too. Those are some good-looking grands ! Delicious!!!!!!!! i have not made this yet, but know with the ingredients, it will be wonderful…tasty….yumm!!! I am so happy I finally discovered you and your wonderful ideas! I love your way with words as you describe your life and recipes. 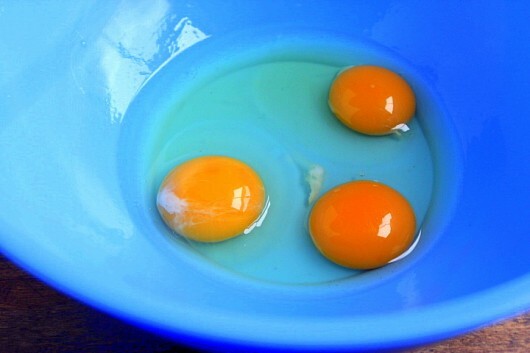 And I can’t wait to make these eggs! Thanks for your great blog that I always savor reading. 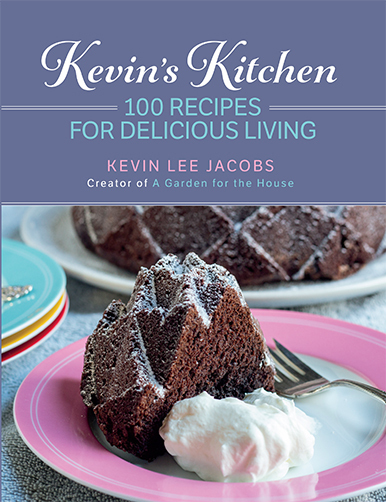 Kevin this looks wonderful! !..going to make it next Sunday morning for sure almost worth co.ing home to cold for especially after powdered egg! !.yuk!..very institutional!! My favorite omelet is was a smoked trout, guacamole and brie omelet that I would always order when I visited NYC monthly. 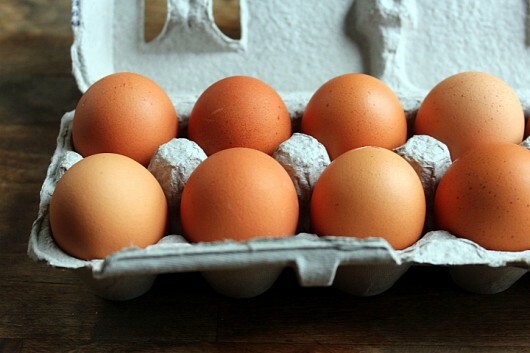 Powdered eggs have a shelf-life of 10 years. What could be wholesome about that? Oxidized cholesterol? They also take less space to store. Maybe this way Disney can add more parking space (do they charge for parking?) to add more people to stand in line to pay high entrance fees and then stand in line for hours to get on a ride? Disney is good family fun and the kiddos love it but, come on, they can do better in the restaurant! I spent a week in Orlando once but never felt compelled to go to Disney World. Was last in So CA Disneyland many years ago. I’ll try this tempting recipe later … still focusing on losing weight. Paying for Pixie Dust in a restaurant has given me plenty to chew on for now!! time take the kids to the Yacht & Beach Club character breakfast; Minnie, Goofy, Chip & dale, all in swimming costumes. Adorable & relatively intimate. The egg dish looks so good. Those eggs look like the ones I get from my hens, so fresh and tasty. I live about 1.5 hours from Orlando and I’ve never been! Neither has my only child who is now in her mid 20s! We are just not Disney people I guess. I might my daughter grew up not watching any TV so maybe that had something to do with it. Powdered eggs are common fare at the local hotel chains like Hampton Inn. I agree, they are yucky. Disney World is a magical place to visit. It is also a lesson in marketing. Take a behind the scenes tour or enroll in a class at the World. 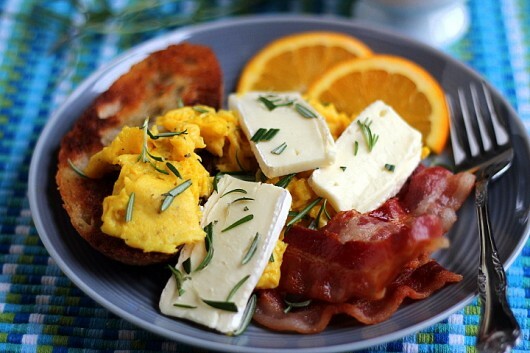 Yes, I would love to eat this bacon, eggs, brie and rosemary dish! I would especially love to eat it if someone else made it for me! Yes, I have been to Disney World once when my youngest daughter was about 8. My parents took all the grandkids to DW but by the time Jessica was old enough, she was too shy to go by herself so, of course, not wanting her to miss her turn, Mom and Dad had to go, too. We had a good time, although all the mental and visual stimulation can get overwhelming. I am looking forward to being able to take our grandkids. The oldest are twin boys, age five, so it won’t be long. It will be a challenge keeping track of those two! Probably better take two more adults with us! Kevin you are just simply the best! Yes. Disney World can bring out the kid in us fast. It is a fun place. I do remember sensory overload with a toddler though. Made the eggs in a basket for V-Day and it was a hit! This caught my eye on the side of your blog and it looks delicious. I didn’t know eggs could come in powdered form, but that explains a lot of weird eggs I’ve been served before in various places. I’ve only ever been to Disneyworld one time, when I was 12…and we went to Epcot later that year when I was 13. Born and raised in FL and those have been my only trips to Orlando. I also lived in the Hudson Valley for a little over 3 years, from 1998-2002. 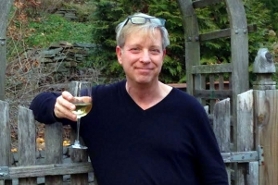 I enjoyed the experience and the beautiful Hudson Valley, but was glad to move back home. Powdered eggs…my dad had to eat them when he served in the Navy during WWII and it was not a happy memory. When I was in college, I worked in a hotel and restaurant on Mackinac Island. They used a carton of liquid egg for their scrambled eggs, but, of course, not for fried or hard-boiled. Ever since that summer, I’ve been leery of ordering scrambled eggs from any restaurant–or quiche, for that matter.